Our October 2015 meeting takes us back to our roots of sustainable building with a presentation by Gaylord Reeves and Karen Eppright of Forever Green Concrete Forms. 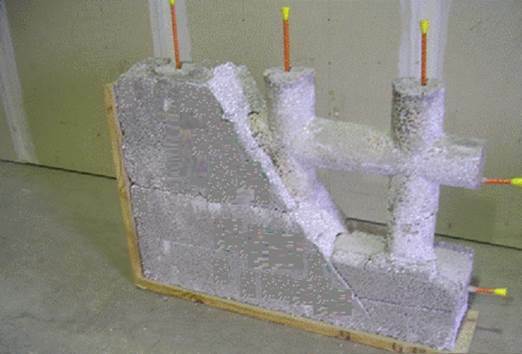 They will be talking about the version of Insulated Concrete Form they market in San Antonio. Their form combines concrete with recycled polystyrene to make a block which is used as a form for holding a grid of steel reinforced concrete. Blocks are stacked and braced. Rebar is inserted during stacking. Plywood and sprayed foam prevents blow-outs when the concrete is pumped in from overhead. The poured concrete fills voids in the block to make a steel reinforced concrete grid. 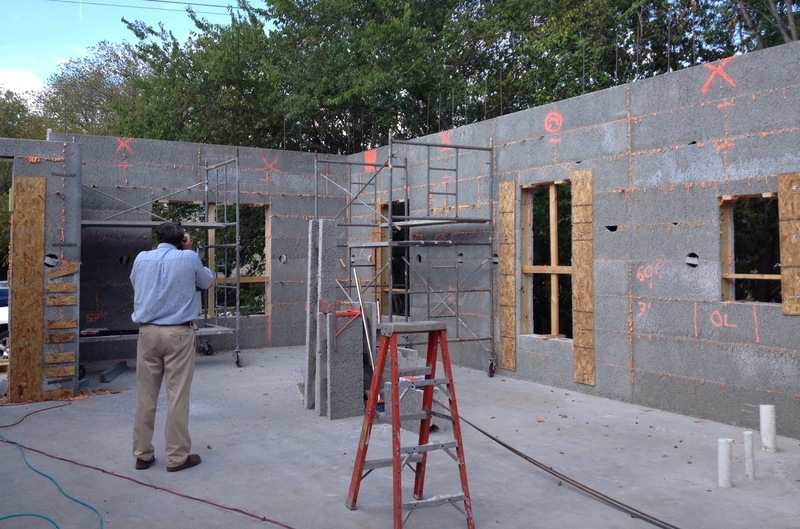 This style of ICF has a long history in San Antonio (long for a Green Building System other than Adobe). Over the years several companies produced blocks here including Amazon Gridwall and Rastra . The blocks sold by our presenters however are produced on the up and up out of state. 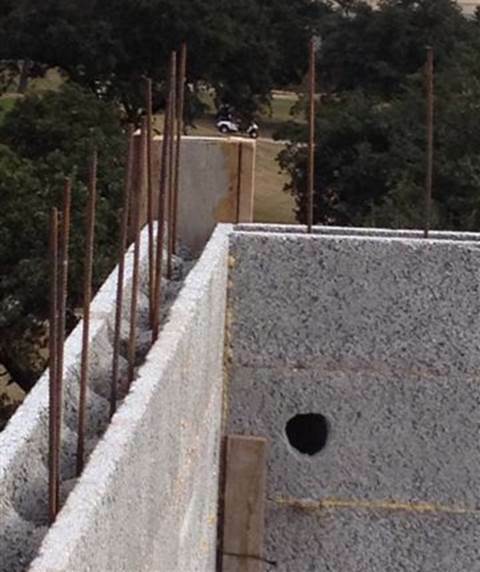 ICF blocks produce a structure that is extremely quiet, insect resistant, tight and energy efficient. The walls stand up to windstorms and earthquake ( a much more common occurrence here in South Texas due to fracking). Another distinct advantage of building with ICF blocks within the city limits of San Antonio is that code and building authorities have approved many buildings utilizing them.